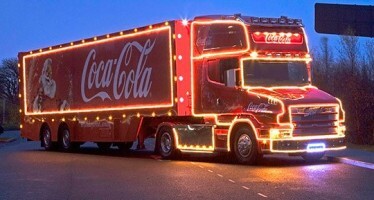 As Coca-Cola announce their Christmas Truck Tour, Health Equalities Group CEO, Robin Ireland, takes a closer look at the ‘Holidays Are Coming’ phenomenon. The Coca-Cola Christmas truck tour is now in its twentieth year and has become a regular feature of festive TV schedules in more than 100 countries. In 2013, the truck’s tour website received nearly two million hits. In total, 200,000 people appeared in the photos taken from the visits and the hashtag #HolidaysAreComing was shared 57 million times. How do I know all this? Because every year the media more or less reprint Coca-Cola’s press release as shorthand to tell us Christmas (the ‘holidays?’) is on the way. So that’s 57 million times Coca-Cola’s logo has been a backdrop to lots of smiling children and their mums and dads. Not the Diet Coke logo, not the Coca-Cola Zero logo and not the Coca-Cola Life brand. Nope, just good old American Coca-Cola in the original red and white colours. Coke argue that they don’t give out samples from their truck to children under 12 years- at least without parental consent. So they are not really promoting a sugary drink to young children then… and I believe in Father Christmas. In case you missed the concern raised by Jamie Oliver and an army of health experts over the last year, just one can of standard Coca-Cola contains 7 teaspoons of sugar; enough sugar to total your recommended maximum daily amount in one long swallow. Coca-Cola is the fourth most valuable brand in the world apparently (Forbes, 2015); after Apple, Microsoft and Google. A drink that may be more available than fresh water in some parts of the globe. And the sugary concoction that has taken over the Mexican market so completely (Coca-Cola controls 73% of the Mexican fizzy drinks market) that it is no surprise that Mexico has some of the worst problems with obesity and diabetes in the world. And also why Mexico imposed a Soda Tax in 2014. 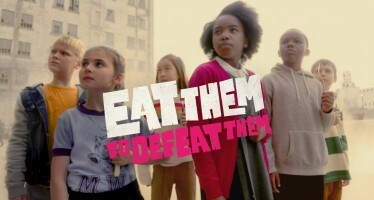 So, why is it that our towns and cities welcome a mobile advert into the heart of our shopping areas when 25% of our five year olds have tooth decay, 20% of 10-11 year olds are obese and the NHS may cave in under the cost of treating type 2 diabetics? That big shiny truck- half surprised Coke hasn’t signed up Jeremy Clarkson wearing a grey beard as well- is spreading more sugary nonsense on the back of linking itself to a festival we are all waiting for in this time of austerity. But Coca-Cola can afford it can’t they from those massive profits. The rest of us are struggling to buy presents and pay the dentist’s bill. For 80 years, Coca-Cola has used Santa Claus and Christmas to promote its sugary pop. Haven’t we grown up enough by now to say this is one present we can do without?